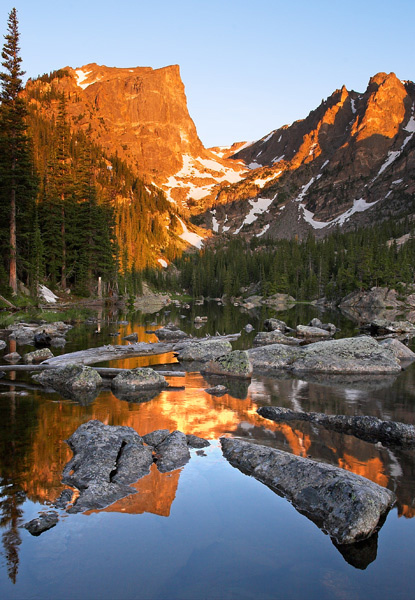 This photo was taken of Dream Lake in the eastern portion of Rocky Mountain National Park, about one mile above Bear Lake. I have been to Dream Lake several times at sunrise, but this was the first time there was absolutely no wind so I could capture a mirror like reflection. The mountain in the center of the photo is Hallett Peak (12,713), forms part of the Continental Divide. Photo © copyright by Mike Barton.